Are you ready for an evolutionary leap? The kind that empowers you to shift you from “pretty good” to “great,” from “surviving” to “thriving,” from “fine” to “fabulous“? If you’re reading this, then you’re someone who wants to improve, who’s interested in shining a light on your blind spots and breaking through whatever barriers are standing in the way of you and heart’s desires. You understand the value in doing inner work in order to create the life you’ve always wanted to live. While you may have dabbled in personal growth, attended workshops, worked with professionals, or read self-help books, you’re ready to play bigger than that. You want a partner, a mentor, an Olympic-level visionary who can move you beyond limitation, through transformation, into manifestation and ultimately celebration. We all know that “No one gets to the Olympics without a coach,” why not master your life with one? While you’ve achieved quite a bit in your life, you still feel incomplete or that want for something more. …struggle with the fear of failing, of losing what you have, or of others finding out that you’re actually a mess on the inside, a fake or fraud. …cringe every time you remember that you’re still looking for love, a partner in life, and you’re getting older by the day or settling for crumbs. Afraid it will never happen. …beat yourself up for painful mistakes you made in the past, and you can’t help but feel that cloud of shame haunting you every day. …or maybe you’re growing tired of the chase to have it all, be it all, and do it all. No matter what inner demons or battles you’re fighting, this is where they can end. This is where you finally discover how magnificent, worthy, and capable you are of creating not only an amazing life but also an amazing relationship with yourself and with life. If this is what you want, if you want to be done with living in fear and self-loathing, then I’m your champion and your cheerleader. The person who will root you on, inspire you to strive for what you truly desire, and who will remain committed to your greatness. 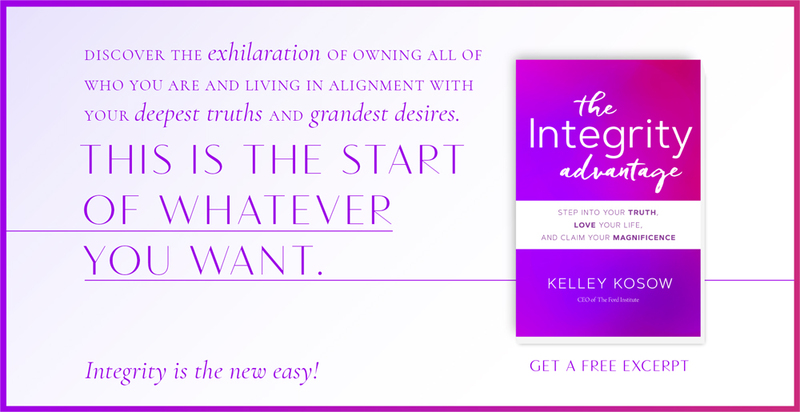 The person who will care enough to listen openly, speak authentically, and hold you compassionately accountable as you open up to greater levels of integrity and self-love. The person who will guide you in shining a light on your truth and your greatest life vision. And the person who will remind you that you, yes, YOU, can create the life you really want and no, you can’t give up. Then, it’s time to experience a highly-customized one-on-one transformational coaching experience that pinpoints what you want, clears out the clutter of the past, provides structure, accountability and support, and upgrades you on a cellular level so that you can step into your superpowers and super strengths. You become the idol of yourself as you step into becoming the person you want and were born to be! You learn to live beyond the seduction of self-doubt, self-sabotage, and smallness, and unleash your unrecognizable self! You become excited, certain, and fearless by learning how to live an integrity-guided life. You bask in the level of consciousness that will get you where you want to go. You stop living from your “to-do” list and start living from your “bucket” list. You feel lit up from the inside out and launched into a limitless life of ease, authenticity, liberation, and love! You learn tools, concepts, and perspectives that will create dramatic shifts, and sustainable, revolutionary results so that you can keep spiraling up in the next version of yourself. “A masterful transformation coach, implementing a powerful approach to personal insight and change; and above all that, a model of integrity.” —Bill T.